She will come right out of her personal cocoon with brilliance wearing the Sophia Webster™ Bibi Low Top. Product measurements were taken using size 30 (7 Years), width M. Please note that measurements may vary by size. 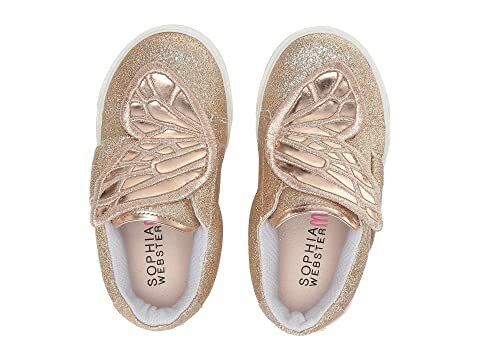 We can't currently find any similar items for the Bibi Low Top (Toddler/Little Kid) by Sophia Webster. Sorry! They look even better in person! Very good quality. Absolutely gorgeous shoes. My princess will love them? ?